When you first look at the Smite, it’s not all that obvious on how you are supposed to get to the mouthpiece. After a closer examination (or breaking down and reading the instructions) you will discover the mouth piece hidden on the bottom. The panel slides over, and you are in business, out it slides. You load the Smite through the top with the herbal supplement of your choice that is accessed via another sliding panel. 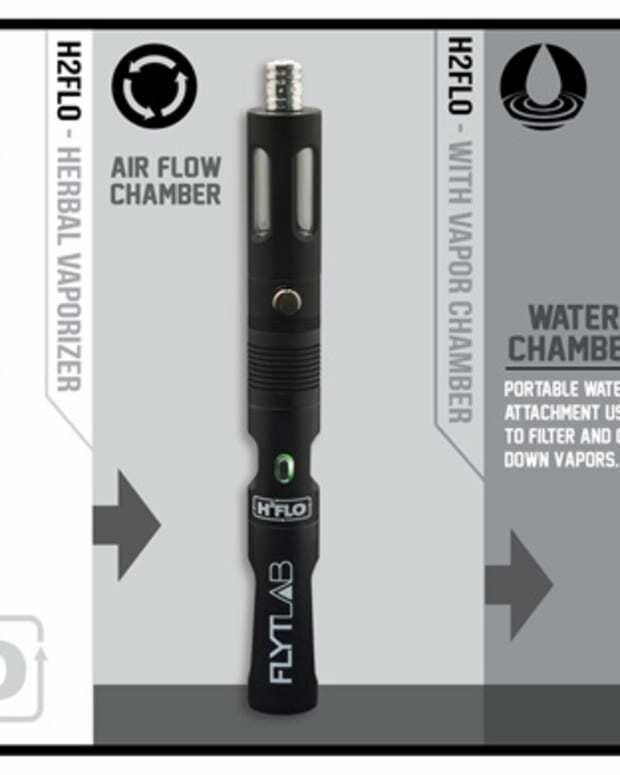 Next, load your botanical into the heating chamber in the upper part of the unit that’s also hidden behind a sliding panel, screw in your mouthpiece on the top and prepare to vape. You hit the power button in a rapid succession five times, and the unit will power on and heat up. The Smite has a smooth and sleek design that keeps it compact and easy to port around with you. The build quality is also really nice for a portable unit at this price point, and it’s guaranteed for a year. We had some issues with our unit not heating up, and customer service replaced it right away, although this is a rare malfunction according to the PR team. The new unit held its charge for about two-and-a-half hours before running out of juice. Again, for a vaporizer of this size that’s pretty amazing. Other reviews report up to 3 hours of power, but it all just depends on how hard you are pushing it. The Smite features three temperature settings for every taste, but it’s a little tricky to set them, so pay attention. Since there are no display or levels to choose from (which helps keep the size down), you hold down the power button for 3 seconds, and that will take yours through the settings. Blue (Low), Purple (Medium) and Red (Hot). Having these three heat settings helps you dial in the exact type of vapor thickness and flavor you are seeking. 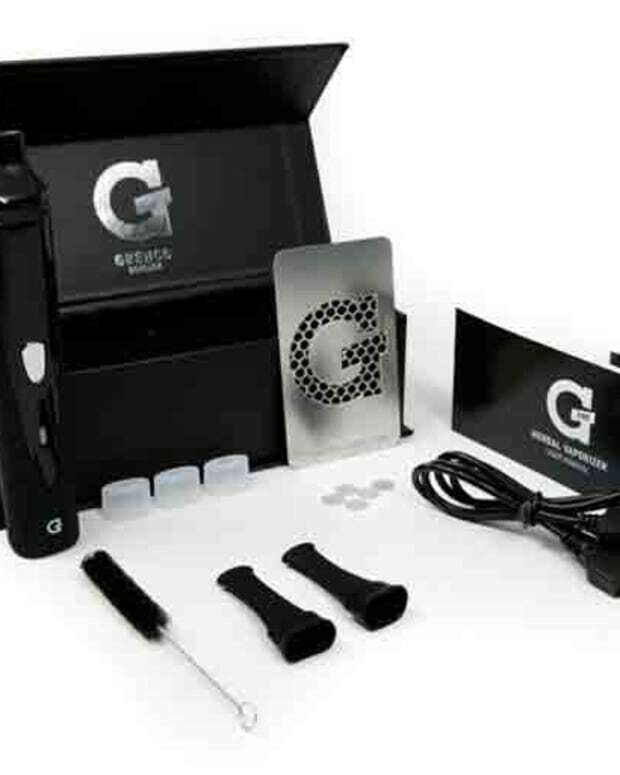 The heating chamber and mouth piece are both made from ceramic so you have a pretty clean tasting vapor, and it hits smooth no matter what temperature. If you are looking for a reasonably priced vape with some great features and a sturdy build, the Zeus Smite is hard to beat. 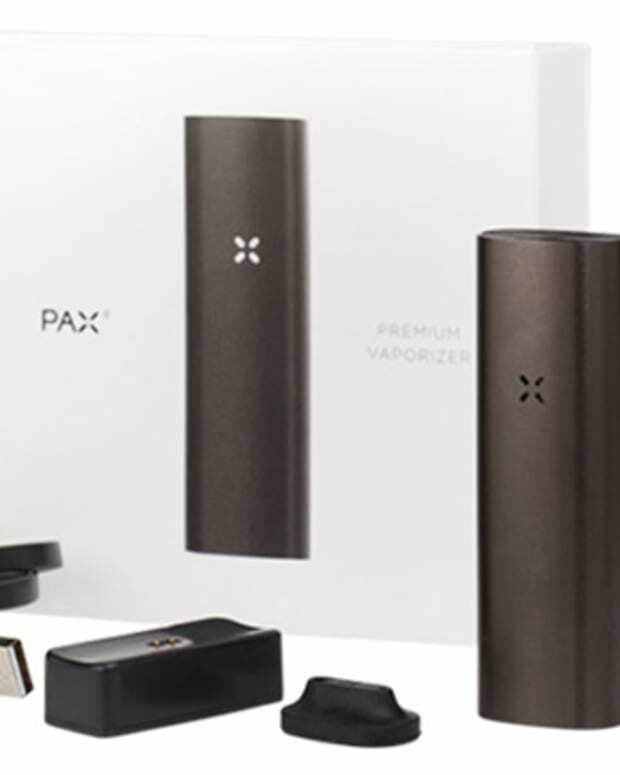 It has a simple and discreet design, is light weight, hits smoothly at three different temperatures and goes 2+ hours on one charge. It’s also fairly easy to use but does require a tiny learning curve to understand the full functionality and how to switch temperatures, but it’s not calculus by any means. 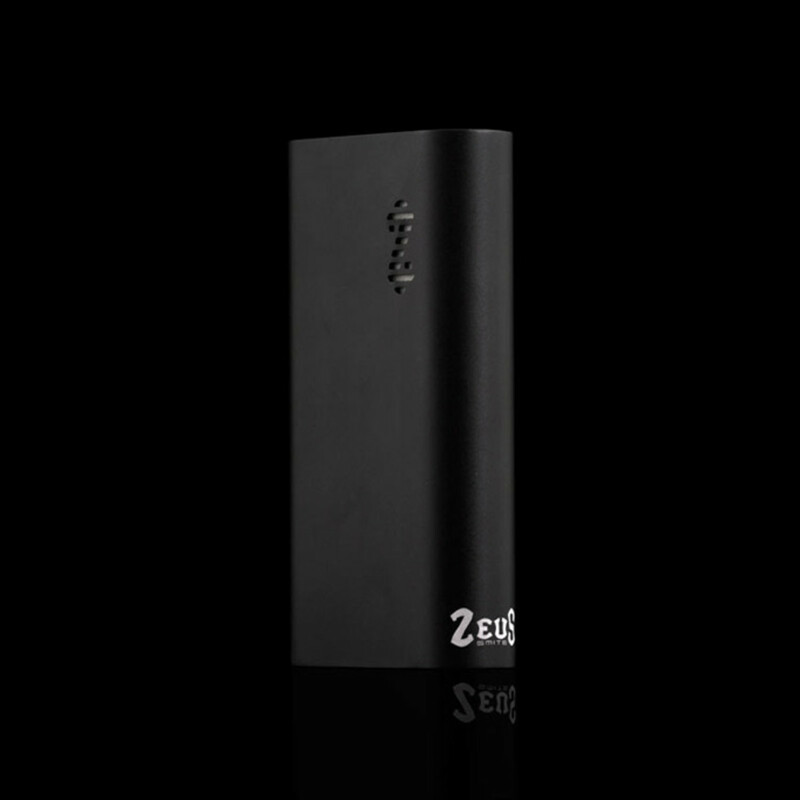 We are on board with the ZeusArsenal Smite, which is a great all around performer in the portable vaporizer category.